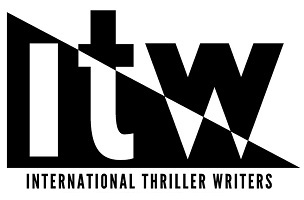 To be accepted into International Thriller Writers is a wondrous moment of arrival for an author. Who would deny that to write is to embark upon a journey of discovery? Sure, authors take all the internal forays into plot, story, and character while we toil alone in our mind caves. The first big lighting strike of wonder I experienced from outside was meeting that first special stranger who read my thriller, Deadrise, and who absolutely loved it. I see it like this: our readers have stepped onto the bema, offered up their non-refundable 13 hours of life, and laid 53 thousand heartbeats on a most private altar in order to gain admittance to a world of our creation, with characters borne of our particular madness. Upon meeting that first reader, I realized I really was not laboring for just myself to speed hearts, slow breathing, and chill blood. In that moment, I finally met the other: Prime Reader. There might be more. One reader might lead to a readership, and perhaps, dare I hope, even an audience. This is a big deal. Today, I eat, live, and die by my Blackshaw readers. Yes, my first drafts are my own, written for my pleasure. My rewrites are happily performed in accordance with the wishes of my editor, and the tastes of vocal Blackshaw fans. I listen closely to them all. If I never heard from another person outside my cadre of Blackshaw-hungry friends, my life as a writer would be complete. How was I to know it could get even better? The next authorial satori came when HatLine Productions asked to option the film rights to the Blackshaw series. It is simply terrific that an entire team of creative folks in Los Angeles read the exploits of Ben Blackshaw, and could envision that marvelous amalgam of pictures, and yes, profit, and all on a grand scale. Soon after that, LUZIFER-Verlag snapped up the German language rights to the series. 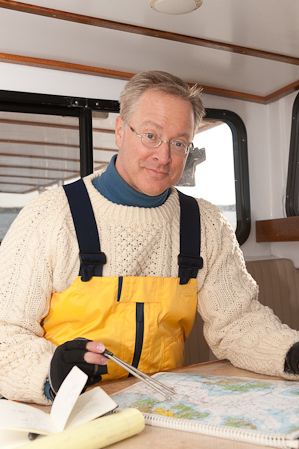 Suddenly, Blackshaw was headed overseas into new territories where I could never guide him alone. To be admitted into the honorary society that is International Thriller Writers is yet another blinding moment of arrival. Yes, readers have discovered Blackshaw, as have keen-eyed film makers and publishers in distant lands. Now my accomplished, acclaimed author peers have also taken notice, weighed my achievements, and found them acceptable in their sight. This is the most gratifying validation not only of my work, but also of my very calling to write. With only 3,700 authors in this special community, we can bask and revel in each other’s fellowship before scuttling back to our solitary work. In those quiet hours, we can remember we are not alone. There are others like us. It has been terrific just walking the same planet as the likes of Kathy Reichs, Harlan Coben, Clive Cussler, Alafair Burke and the iconic Lee Child, but to be in the same club with them is absolutely sublime. We have common cause. In ITW, we strive together to help new readers find each other’s offerings. We support literacy campaigns. We give aid and encouragement to other writers who are just beginning to make their way inside the cave in the hopes they will emerge with thrilling, fresh itineraries for readers’ mind travel. International Thriller Writers cares, and from caring, it has come to matter. International Thriller Writers does not require an oath, nor does it have a secret handshake I am aware of, but there is an implicit trust that we will maintain a high standard of work, and that we will always do our best to bring honor to this society into which we have been graciously admitted. So it is with certain pride, and an odd yet giddy solemnity that on the occasion of my own acceptance into International Thriller Writers, I give you heartfelt greetings, my fellow scribes. Thank you so much for finding me.